Start by uploading the pattern here. 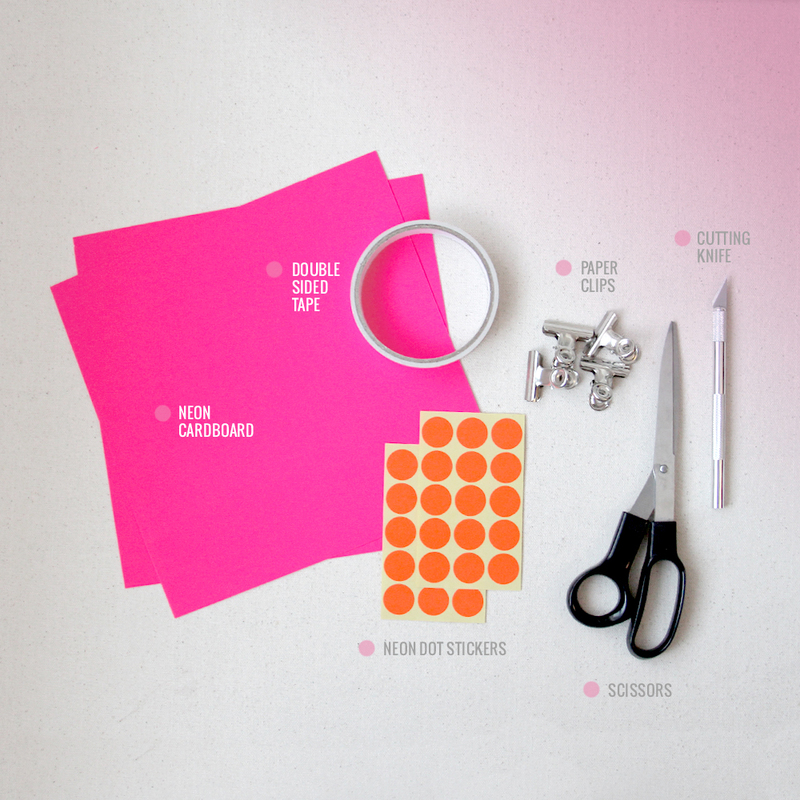 Print it on a paper sheet and fix it to your neon cardboard with paper clips. 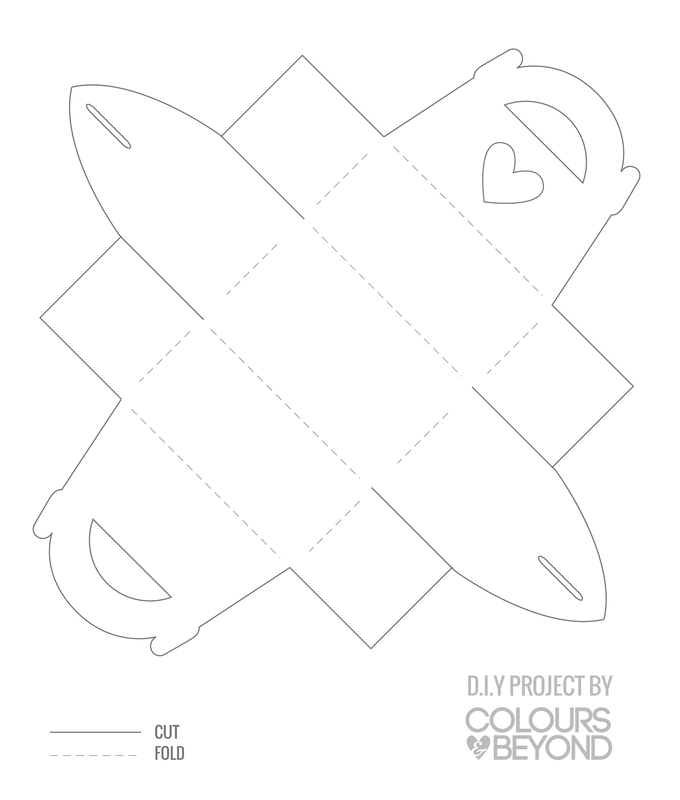 Cut out the shape in the cardboard with scissors or a cutting knife. Place dot stickers randomly all over the surface. Cut out the excess. Score the dashed lines with a very small pressure on your cutting knife. Fold it like shown above, and fix the side with double-sided tape. 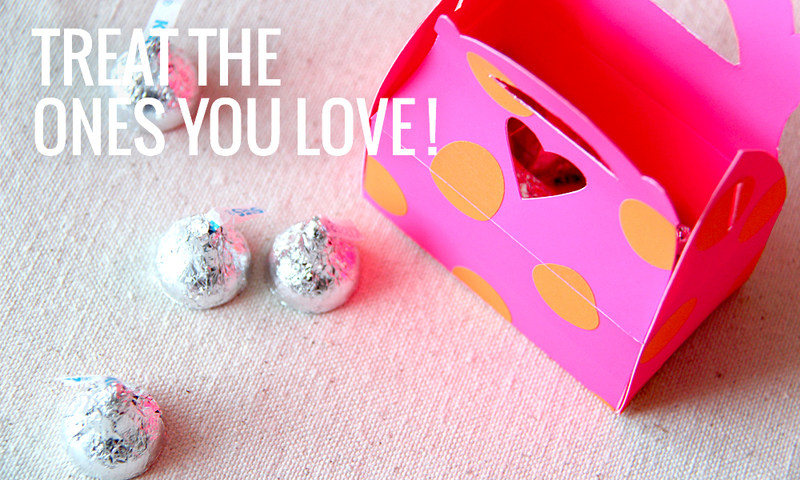 You now have the cutest neon treat box to impress your friends! 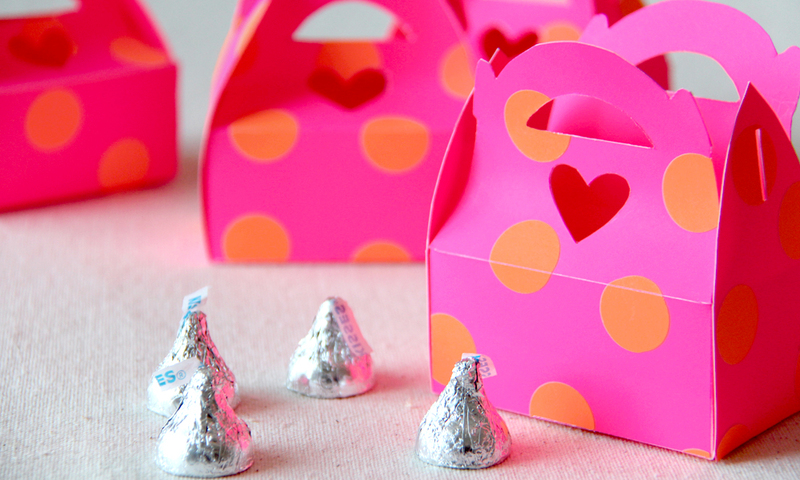 Hope you had a lot of fun doing this cute project! We would looove to see your creations! Notify me of followup comments via e-mail. You can also <a href='http://coloursandbeyond.com/comment-subscriptions?srp=2173&srk=&sra=s&srsrc=f'>subscribe</a> without commenting.